✤ Please note that due to monitor differences, colors may vary slightly. Photo may have been enlarged and/or enhanced. 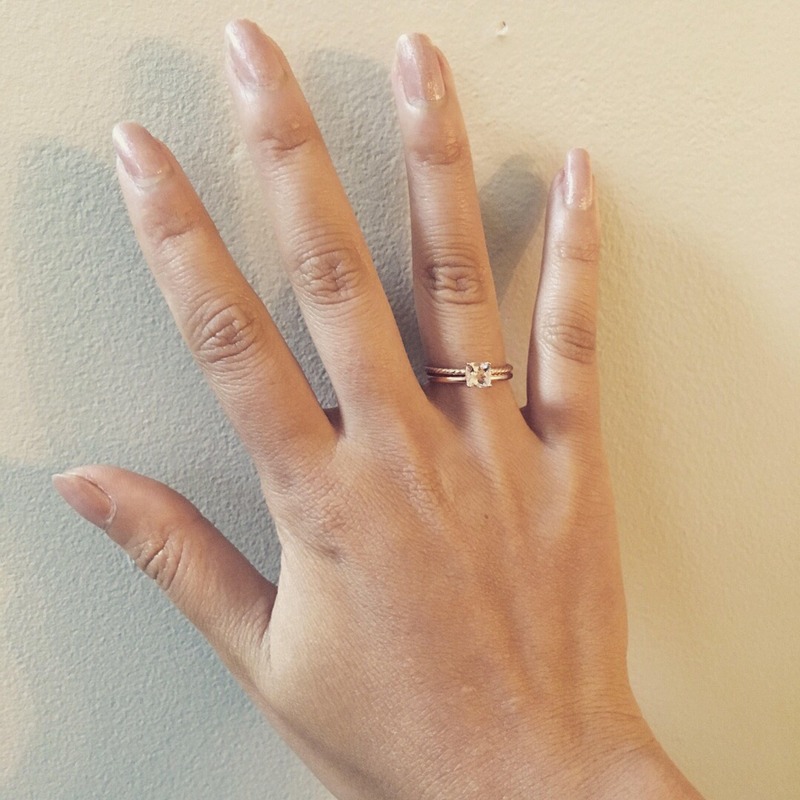 ✤ This ring can be customized however you want, different materials or band texture or style.. please convo me for pricing and a custom order. 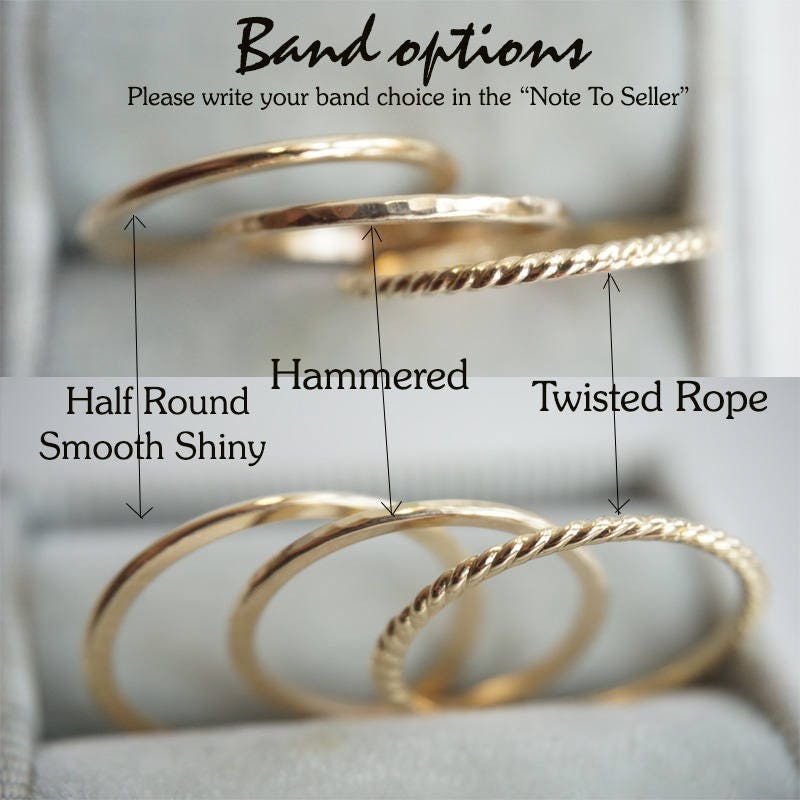 Band Type：You can choose between 1.2 mm Twisted Rope Band, 1 mm Half Roud Smooth Shiny Band, 1 mm Hammered Band. Please put your preferred option in the note to seller. 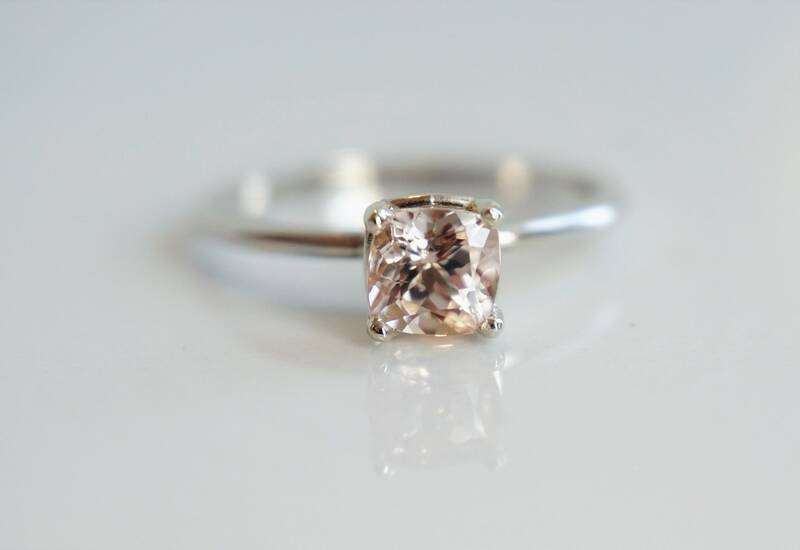 Morganite is a perfect gem for today’s feminine fashions. 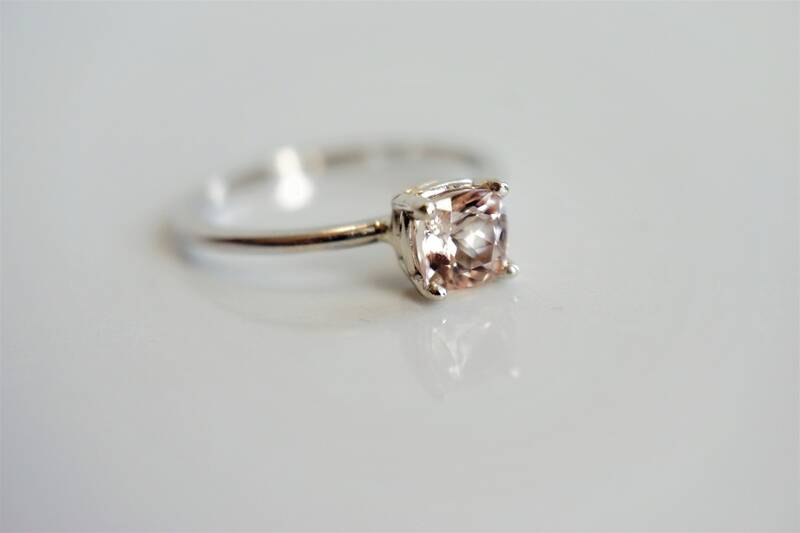 A gentle pink blush graces this amazing Beryl called Morganite. 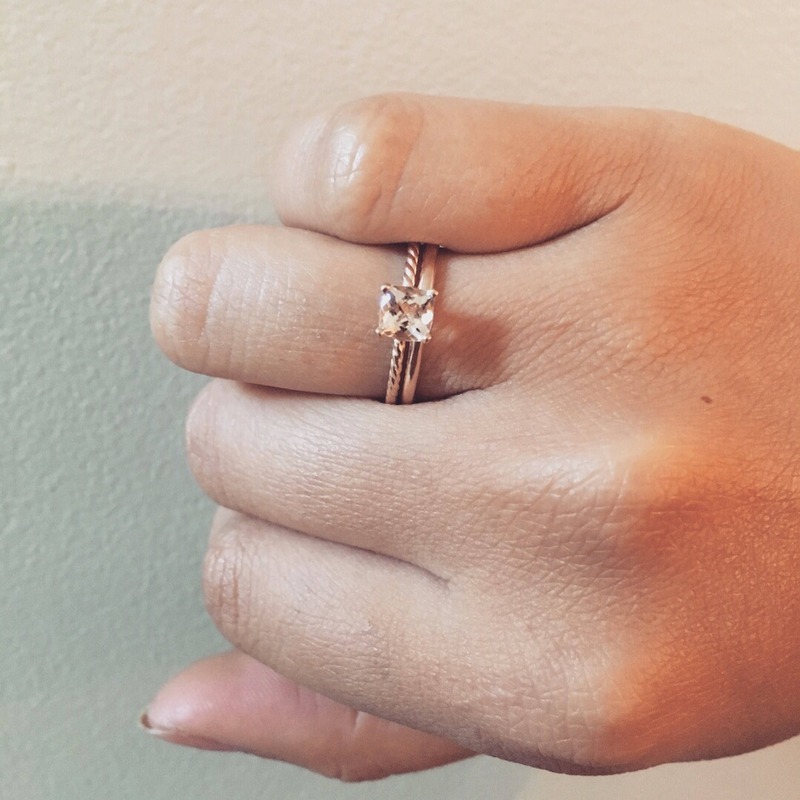 Named after the famous banker and mineral collector, JP Morgan, this charming gem is in the same gem family as Aquamarine and Emerald. 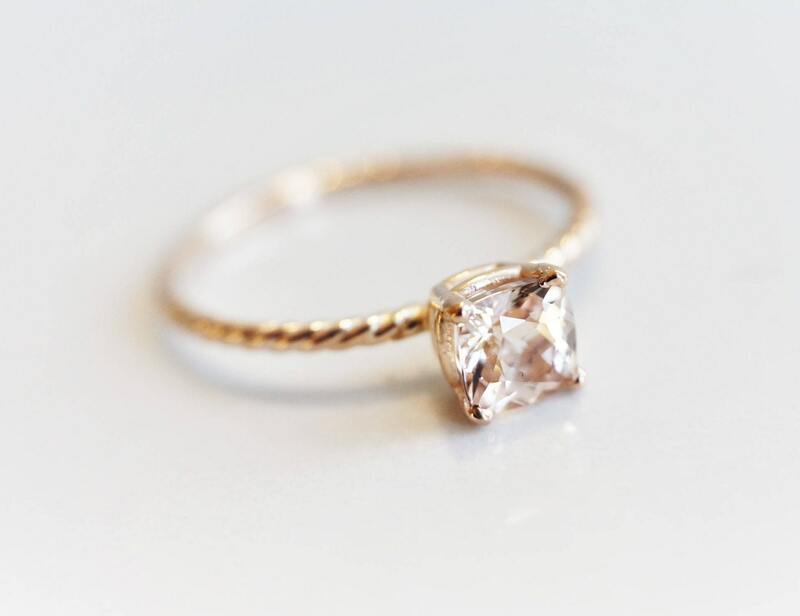 The gentle pink hue of Morganite is due to traces of manganese. Its color can be touched with orange or violet, making it a gem that complements all complexions. 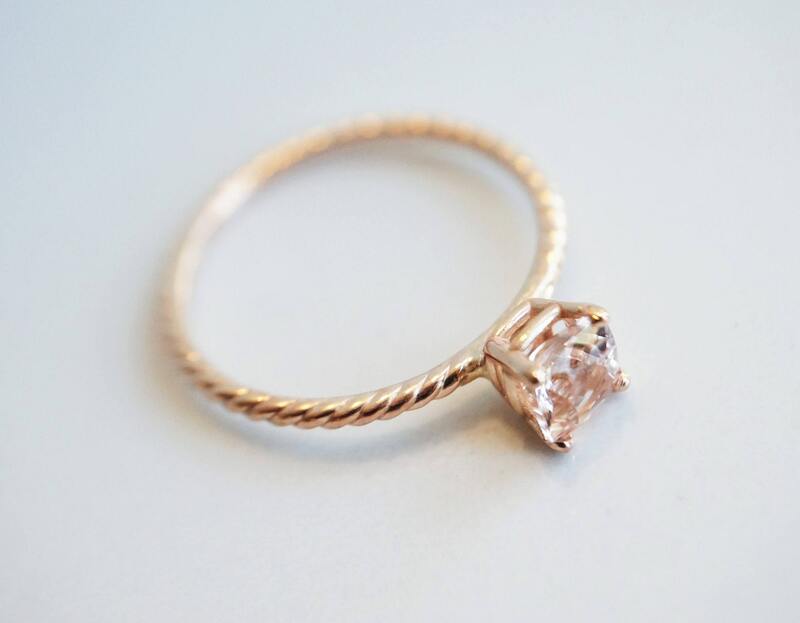 Morganite creates a sense of calm in those who wear it, reflecting the happier aspects of life. 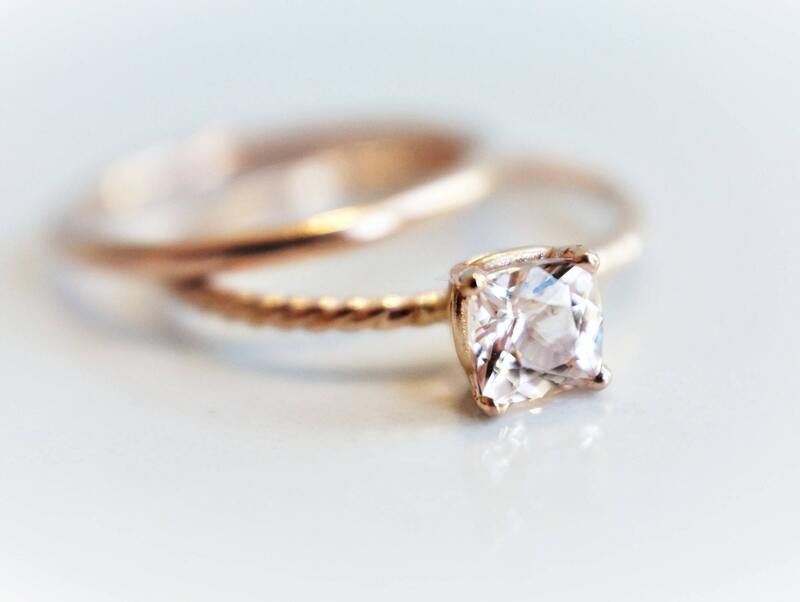 Romantic, enchanting and compassionate. 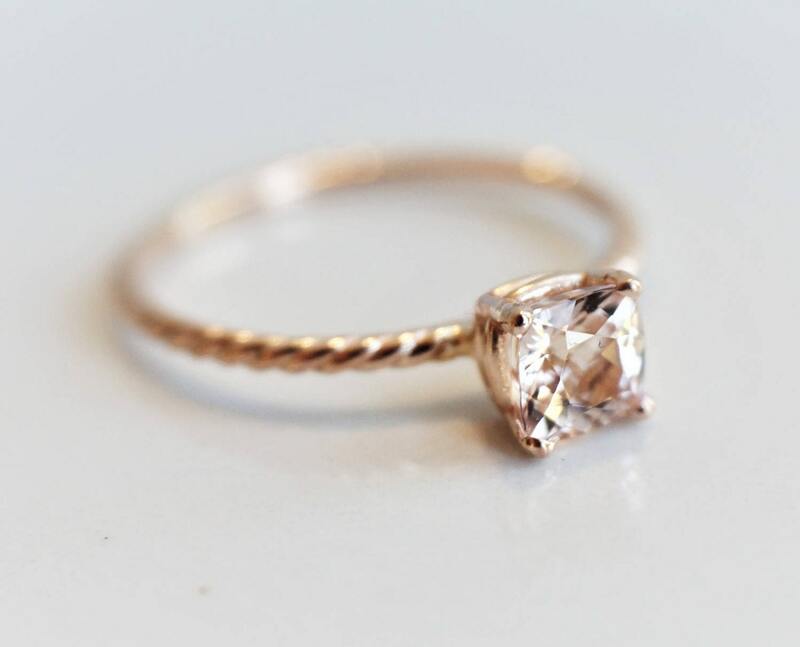 ♥Morganite enhances courage, relieves stress, and calms the mind. With its ability to filter out distractions and to reduce overstimulation, it encourages a positive view. It discourages over analysis and anxiety. 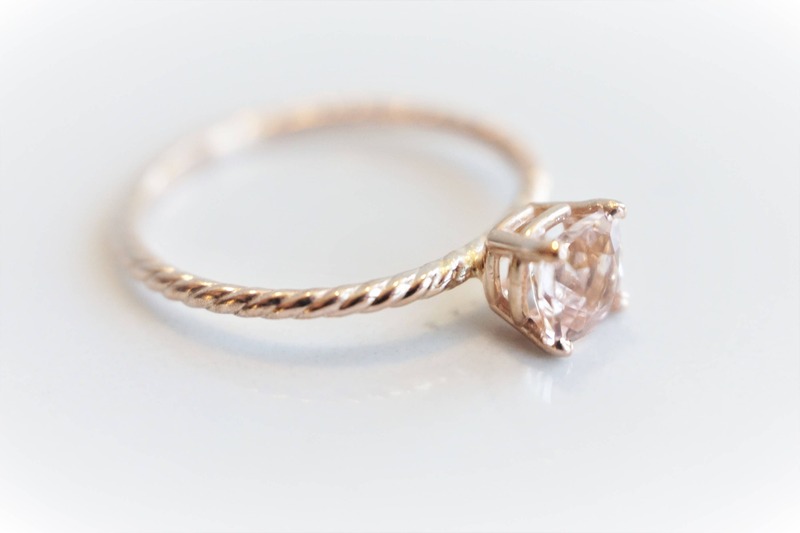 ♥Morganite can bring an immediate release of old pains and sorrow and a sense of lightness, as though a burden has been lifted. It can make the healing of old wounds easier, bringing long-forgotten traumas into consciousness where one can relive them one last time as they are being released.